Last Thursday, Sony nonchalantly dropped a video on the EU and US Playstation blog, promising that we would “See the Future” on the 20th February. Most outlets have jumped to the conclusion that Sony has fired the first shot in the next generation war and will announce the Playstation 4 at this event, an opinion I am inclined to agree with. These very vague announcements have mislead the press before, but this rumour appears to have a lot of non-gaming media backing, usually a sign that they are true. 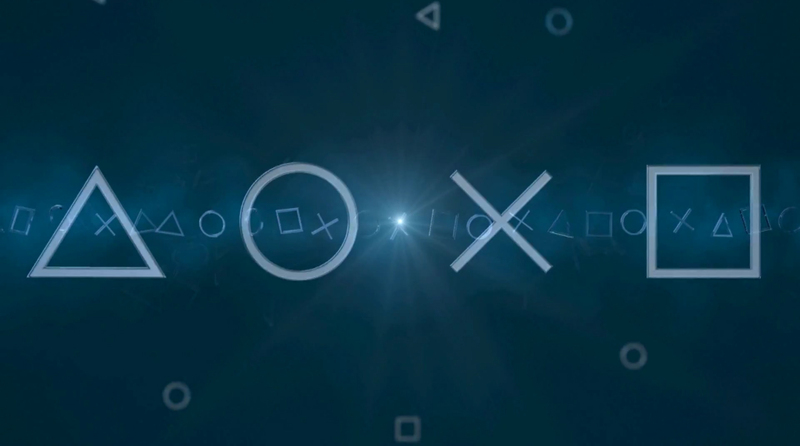 There have been leaks concerning the Playstation 4, going by the codename ‘Orbis’, since last year. Within the past month however a more comprehensive and official sounding specification description has also escaped, matching some of the earlier rumours. Please note that everything from here on in is still firmly in rumour territory, and no-one as yet has 100% confirmation that the leaked specifications are true. Sony appear to have learned their lesson from the Emotion Engine in the PS2 and the Cell processor of the PS3, and have gone with off the shelf components for their new systems. This should make the past two generations of developers exclaiming the PlayStation as a difficult system to code for a thing of the past, giving developers a much more standardised and familiar environment to work in. This also has the added advantage that porting games to the next XBox (which according to rumour has similar ‘off the shelf’ hardware) and even PC much easier. This makes system exclusive titles even more of a business decision for publishers, rather than advantageous from a development perspective. Getting Uncharted to look as good as it looked on PS3 required that Naughty Dog focused entirely on squeezing the most out of that systems custom hardware, moving the possibility of releasing the game on another platform down to nigh on zero. If both the next generation consoles have essentially the same hardware, then exclusives will either be down to which console manufacturer can throw out the most money to third parties, enough to exceed the profits from putting the game out on both platforms. Even then, with the development costs of next-gen games doing nothing but rise, chances are that most exclusives will be timed rather than “properly” exclusive. That being said the hardware itself sounds very promising. With an eight core processor, 8Gb of RAM and an extra 2 Gb of video memory (another lesson learned from the shared memory hell of the PS3), we are looking at the potential for titles that look as good as top-tier PC versions, hopefully with a more consistent HD resolution that the fudged attempts that plague the current gen. The last time that Sony attempted to redesign the Playstation controller, the “boomerang” controller shown off at E3 the year of the PS3’s announcement, there was such a negative backlash that the redesign was scrapped in favour of the tried and tested DualShock. Based on these rumours, Sony are going to try it again. While there are no rumours concerning the design changes, or lack thereof, there are two very interesting ones mentioned. The first is that the controller will have a dedicated “share” button. The console will apparently permanently record the last 15 minutes of every game, and a push of this button will allow you to show your friends your “mad skillz”. The second is that the new controller will be borrowing the rear touch pad from the Vita, in some form. This may be a surprise to many, as the rear touch was not recognised as a particularly good feature of the device. While not having personal experience with a Vita, there were many reports of accidental inputs affecting games. However with games like Tearaway coming this year for Vita and promising to make the rear touch an integral part of the game, hopefully this will transfer to the new console. Speaking of the Vita, there is a good chance that it will play a part in the Playstation 4 ecosystem somehow. Sony have been pushing console/handhelds since the start of the PS3, with the under supported Remote Play feature streaming games to the PSP. With the WiiU pushing asymmetric multiplayer out to the masses, and Sony looking for reasons to push out more Vitas, it makes a lot of sense for the PS4 to provide some similar feature. So what do we expect to hear on the 20th? Most expected that this announcement would be coming at E3 in June, or previewed in some form at GDC in March. With the 20th being the first showing, Sony have two more venues to show details about their new system, so expectations should probably be tempered. Personally, I am expecting the event to mainly talk about hardware. A reveal of some physical hardware, including the controller, and hopefully an official reveal of the specifications inside them. In regards to software, Sony would be amiss to not show a few first party titles, if for no other reason other than to provide a tech demo. They cannot afford another Killzone 2 fiasco, so I would expect only in-game. I am pretty confident there will not be a mention of price or date, probably to save that massive and very important reveal for E3. I still did not expect that Sony would go first when revealing the next generation of hardware, but now that they have we should be in for a very interesting month. The rumour is that Microsoft will be starting their reveal process within the next few months, so there should be even more news very soon. Until then, keep an eye out on the 20th as the event will apparently be live streamed.